Marilyn Hendricks has over twenty-five years’ experience in the managed healthcare industry. She specializes in CMS compliance, NCQA accreditation preparation, infrastructure evaluation, auditing, reengineering, process improvement, training and education, program development, and interim management services. Marilyn has consulted, lectured, and spoken nationally and internationally on an array of topics related to managed healthcare from both a clinical and operational perspective. She developed an online training program for Medicare Advantage Utilization Management regulations for a leading instructional design and technology firm specializing in internet and intranet delivery of computer-based learning systems. 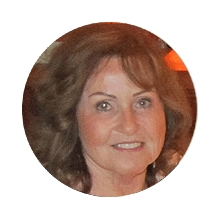 Marilyn is a Registered Nurse with a Bachelor of Science degree in Health Services Administration and a Master’s degree in Business Administration. She is a Diplomate of the American Board of Quality Assurance and Utilization Management Physicians, Inc., and is certified in Health Care Quality and Management.